I received a copy of this book from NetGalley in exchange for an honest review. All thoughts and opinions expressed here are my own. This book had me grinning throughout at its sweetness, so read on to find out just what I thought of this excellent, excellent book! The enemies to friends to lovers trope. 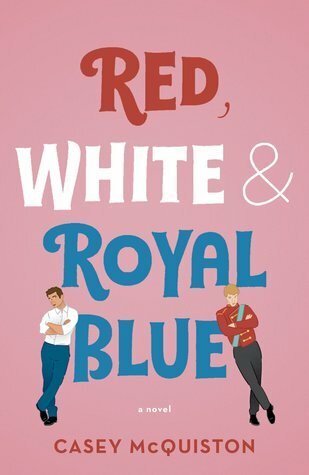 Red, White & Royal Blue is the story of the First Son of the United States and the Prince of Wales slowly falling for each other, while FSOTUS’s mom vies for a second term as the President. Drama, madness, and a lot of laughter ensues. One of the best things about this book is how well McQuiston has fleshed out each character. Even the characters who have just two lines in the entire novel are so distinct and well-written. The main characters, Alex and Henry, are memorable and so CUTE, you can’t help but smile each time they interact with each other. I started reading this book when I was in a bad mental space and it helped me. A LOT. I cannot thank the author enough for writing a book like this, that’s both an emotional crutch and a killer entertainer. I can only hope that some day, I get to tell them how much I loved this book and how happy its existence makes me. Red, White & Royal Blue has surely found a spot both in my heart and my 2019 Favourites list. I’m so glad for this book’s existence and I think it needs to be read by anyone who loves LGBTQ+ fiction that’s humorous, emotional, and powerful. Previous Post No, Wuthering Heights is not a love story. Next Post A Q & A with Markus Zusak ft. book thieves, bloggers, and balderdash. I’ve seen this book in a few places. It sounds really amazing! I’ve never seen or heard of this book until now! It’s releasing only in May! But all early reviewers have been gushing about it and I did not expect myself to hop on the hype train, and yet, here I am. 😅 It’s a great entertainer! The fact that the publication date is May makes complete sense as to why I never heard of it. This does sound like lots of fun. It is! I’m sure I’ll reread this book soon!